Schuco aluminium bi-folding doors installed for Kent home. Schuco ASS70FD bi-folding doors were ideal for this home in Kent, which will benefit from a seamless link between the dining room and patio space. This Kent family home wanted to make the most of their outdoor patio space, especially in time for the May Bank Holiday. Luckily the team here at DWL were on hand to offer a fantastic product and efficient installation. The Kent homeowners were fed up of their dated back doors – they were draughty, hard to maintain and made for a bulky connection between inside and outside spaces. The family wanted to install a new door that wouldn’t only look good, but one that would offer enhanced thermal efficiency, ease of use and durability. Fortunately, we were able to offer one of the latest systems on the market – Schuco ASS70FD bi-folding doors. Why did they opt for Schuco bi-folding doors? Schuco ASS70FD bi-folding doors are sleek. They enhance any property with style and a seamless connection between inside and outside living spaces. They are 10mm thinner than the next best system available on the market, and can go 200mm wider per pane. This makes for far larger apertures – ideal for letting the light into properties. 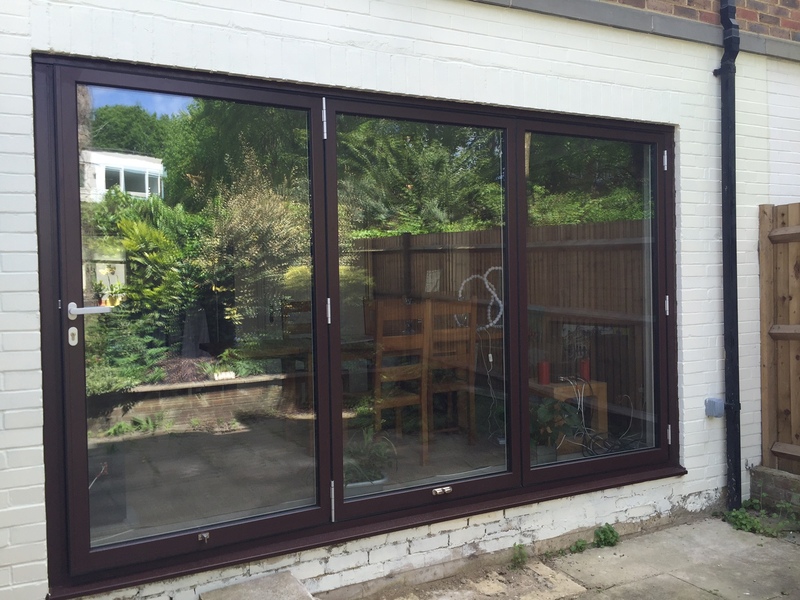 Schuco ASS70FD bi-folding doors are one of the most bi-folding door products available to homeowners – their thermal efficiency is often needed for strict Building Regulations. These Kent homeowners found the thermal benefits very appealing. No longer would their dining room and kitchen get draughty or uncomfortable! Were they happy with their new bi-folding doors? The Kent homeowner’s expectations of our work were exceeded. The team worked with them throughout the installation, and completed the work to the highest of standards – something that we always strive for here at DWL. Not only do the doors look super stylish, but they will bring a host of benefits for many years to come. This includes weatherproofing, easy maintenance and ease of use – ideal for a family home in the suburbs.